Anyone who has been into guns knows that Beretta is a big name in the gun world. They have been making things that go “bang” (some would argue “click”) for about 500 years. They are THE oldest gun makers in the world today. But let’s skip ahead so you don’t fall asleep. In the 80s they put forth their 92 model for the military trials, went toe to toe with some other big names in the gun world, and came out the other side with Sig. Now this is the point where people will claim this gun was better than that one, argue and fight over the details of the testing, blah, blah, blah. Let’s just get real here for a minute. No matter what the legends state, the fact is that Beretta won the M9 contract. This is how Beretta came on the map in a big way and enabled them to build a reputation for world-class manufacturing of tough duty weapons. People will talk and talk about what gun would have done this or that better than the M9. I highly doubt that any other pistol would do much better, seeing how the military treats its gear. I was one of those guys who carelessly lugged around gear too. As a grunt, I didn’t get time to gingerly place my stuff here or there at my own pace like civilian operators do. Though, we treated our weapons as best we could, because that’s how we learned to handle them. But no matter what, you and your gear were going to be put through the grinder during your time in. After seeing what I put my weapons through, just by using them, I have great admiration for the Beretta M9/92. 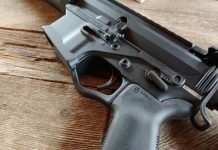 This pistol has a story of love and hate with people across the gun community, but the reasons are vague and most are based on echoing whatever some forum operator stated. The biggest thing is that apparently everyone who has ever raised their right hand has had a personal “experience” with the M9. Now I know that a good amount of the pistols did have problems in schools and such where they’d just shoot them until they died, but the same happened with rifles and MGs. Units like mine would use a pistol for so long and then hand them off to schools or wherever when they got a new batch. Most of the people who were in units like mine (infantry) didn’t really complain about the pistols, only their rifles. I usually hear people who were in noncombat units that would complain about the M9 being crap. Now in my experience, most people in the military don’t rate having a pistol or even qualifying, so I find it interesting when all these people complain about the pistol. But I don’t remember units that were deploying in a combat role, bringing along weapons that weren’t good to use. The military may not make the best decisions for its people, but it doesn’t use complete crap. Just so everyone understands how the military orders their guns, lets look at how they dictate quality. The military places orders for guns and specifies some things like metal type, barrel making method, finish type, etc. depending on the gun. Then they proceed to give their expected tolerances such as + or – 0.000000000000002 MM for the finish, and + or – 0.000000000000001 grams for the weight of this component, etc. Okay, so I’m dramatizing it a little, but the tolerances have to be really consistent from one gun to the next. Every component is scrutinized and tooling is changed at a faster rate that the tooling used to make commercial products, to ensure perfect manufacturing quality and 100% interchangeability with pistols made today and the ones made 30 years ago. This means that the military is getting the best work that the company can offer as far as QC for those specific orders. So if the military gets crap, what do you think you have? Remember though, all the company is doing, in some cases, is making what the military tells them to make. It may have been the companies basic design, but now the military will dictate certain details. Like if McDonalds was hired to make burgers for the military MREs. But the bun has to be gluten-free, and it better taste the same and be the exact same consistency. Let’s take a brief look at what it might be like to be a pistol issued to the careless masses called the US Military. You’re issued out to someone who warrants a sidearm for one reason or another. They don’t look to make sure you’re lubed, or that you function fine. They just clear you and toss you in a holster. Then you are swaying around and being smacked against gear and being bumped against hard surfaces. You may get shot some when you are issued out. You could perform at peak efficiency but you’re still just another gun that needs to get cleaned before being stored again for god knows how long. But since people don’t know how, most just don’t bother lubing you at all since as long as it looks clean, your good. Imagine going 30 years like this and barely having any upkeep while getting passed from person to person like a hot potato. You can’t remember the last time your recoil spring has been changed. And by this time, all your metal parts are still original and the locking block falls free from the barrel on disassembly, but you are still strong and capable. Your springs are worn and on the verge of breaking, but you aren’t going to get any replacement springs until they break. This is common for a lot of the M9s that are used today. They are neglected and rarely used in todays military, except in training for the most part. This has not stopped people from making vast claims and coming up with stories that have Hollywood jealous of the fake drama. After this kind of record, how has the Beretta M9 been a piece of crap? In my evaluation and experience, it has proven to be a golden standard for durability, just as the 1911 has. It may be an old design, but I don’t know of many guns that would survive this long. Some people say that we should have stuck with the 1911. Well my friends, the same argument about moving away from the M9 is what got rid of the 1911. Almost anyone who was in Vietnam will tell you that they loved their pistol. It may have been heavily used, but it was still ready. But that was back in the day that pistols were for everyone, and they actually got to use them, unlike today. Now they are finite items to be issued to select few people and when they are used, it changes the minds of the people who hated on it. Is the M9 the best metal framed pistol? 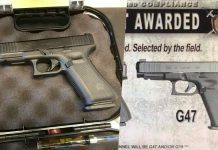 Heck no, but it is something that other metal framed pistols aren’t…It is proven! It really hasn’t experienced the ridiculous string of criminal malfunctions that these internet operators claim. 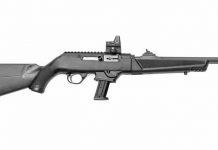 But look at it this way, if you weren’t issued one and didn’t constantly shoot or use one, don’t lay an opinion on it. That pretty much disqualifies anyone who did nothing more than qual or run a few drills at times. Be careful about who you believe when it comes to this. If they claim the rounds failed to fire, they had a bad hammer spring. If they had a stovepipe, it is a bad extractor/spring. If the round failed to extract, the recoil spring is probably so loose that the timing in the cycling is off. I personally had one with a safety that could be actuated either way just while running around in a leg holster. 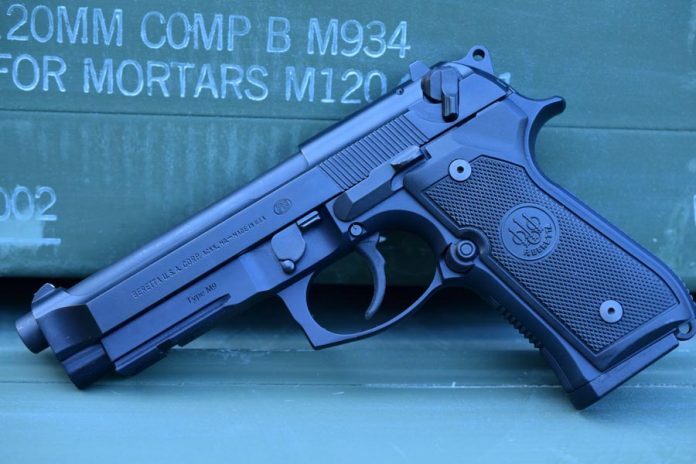 The M9 has served 30 years with a record of durability and reliability through abuse and lack of maintenance with a strict diet of only 124 grain NATO ammo. For those who have actually used them, this pistol has been terrific and does what it was designed to do, provided it receives proper maintenance. It has gone through all these years and has suffered a lot of abuse, but refuses to die. Also keep in mind that Beretta has constantly been improving there metals and designs to where the pistols and their components are lasting way longer than the older parts. The other metal components like the slide and frame are now expected to last almost indefinitely with proper maintenance. You will see cracks on the older slides, but the frames seem to last an unnaturally long time. And there were only 3 total cases of the slide breaking and flying back at the shooter, with merely a chipped tooth as the worst result. The other 11 failed while they were tested in a lab setting. This pistol has been absolutely mistreated for three decades and it is still spitting out lead like it’s the cool thing to do, which it most certainly is. With proper spring change internals, inspections, and care, these pistols will last any civilian for decades. The military destroys everything it uses, whether intentionally or not. That’s just how it works, but don’t hold it against the gear when it fails after decades of service. So just remember that if someone talks about a pistol or rifle that broke, remember that the military has held onto these guns for decades, and they are now starting to show their age after hundreds of thousands of rounds. I would be willing to put down a wad of cash that when this pistol is replaced, because it sure will be eventually, that people will crap on that pistol too. This is what it is like to be a sidearm of the US military gents. I certainly don’t enjoy some of the features and characteristics of the gun like the fat grip or the safety/decocker. But in the face of adversity, it runs and chugs on and on. That is why I own my 92FS and the PX4 Storm. 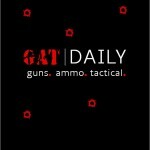 They are made by a company that is absolutely serious about their firearms. They are devoted to making the best firearms on the market and they are proving their worth with every shot our servicemen take from the M9. With a consistent record of an AVERAGE MRBF (Mean Rounds Between Failure) over 22K, it has certainly remained Reliable, Accurate, Proven. Please put all questions in the comments below. Thank you for your time.